British Prime Minister David Cameron has the potential of becoming modern day William Wilberforce who 300 years ago launched a campaign that led to the end of then world’s worst social evil of Slave Trade that Corruption has become. A journey through the struggle to abolish of Slave Trade paints an ardorous task ahead the War on Corruption. The Slave Trade Act 1807 or the Abolition of the Slave Trade Act 1807, was an Act of the Parliament of the United Kingdom passed on 25 March 1807, with the title of “An Act for the Abolition of the Slave Trade”. The original act is in the Parliamentary Archives. 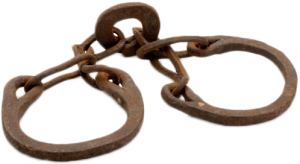 The act abolished the slave trade in the British Empire, in particular the Atlantic slave trade, and also encouraged British action to press other European states to abolish their slave trades, but it did not abolish slavery itself. Many of the Bill’s supporters thought the Act would lead to the death of slavery, but it was not until 26 years later that slavery itself was actually abolished. Slavery on English soil was unsupported in English law and that position was confirmed in Somersett’s Case in 1772, but it remained legal in most of the British Empire until the Slavery Abolition Act 1833. The Committee for the Abolition of the Slave Trade was formed in 1787 by a group of Evangelical English Protestants allied with Quakers, to unite in their shared opposition to slavery and the slave trade. The Quakers had long viewed slavery as immoral, a blight upon humanity. By 1807 the abolitionist groups had a very sizable faction of like-minded members in the British Parliament. At their height they controlled 35–40 seats. Known as the “Saints”, the alliance was led by the best known of the anti-slave trade campaigners, William Wilberforce, who had taken on the cause of abolition in 1787 after having read the evidence that Thomas Clarkson had amassed against the trade. Their numbers were magnified by the precarious position of the government under Lord Grenville, whose short term as Prime Minister was known as the Ministry of All the Talents. Grenville himself led the fight to pass the Bill in the House of Lords, while in the Commons the Bill was led by the Foreign Secretary, Charles James Fox, who died before it finally received Royal Assent. Other events also played a part; the Act of Union brought 100 Irish MPs into Parliament, most of whom supported abolition. The Bill was first introduced to Parliament in January 1807. It went to the House of Commons on 10 February 1807. 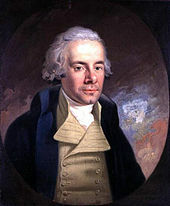 On 23 February 1807, twenty years after he first began his crusade, Wilberforce and his team were rewarded with victory. By an overwhelming 283 votes for to 16 against, the motion to abolish the Atlantic slave trade was carried in the House of Commons. The debate lasted ten hours and the House voted in favour of the Bill. The Bill received Royal Assent on 25 March 1807. Britain used its international strength to put pressure on other nations to end their own slave trade. The United States acted to abolish its Atlantic slave trade the same month on 2 March (but not its internal slave trade). Article 1, Section 9, Clause 1 of the United States Constitution forbade the closing of the slave trade for ten years, until 1808. The law was long planned, was actually passed a year earlier on March 2, 1807, and with the economic incentives of the slave trade coming to its predicted end, there was both a spike number of slaves being traded and the a unification of political factions against the trade. In 1805 a British Order-in-Council had restricted the importation of slaves into colonies that had been captured from France and the Netherlands. 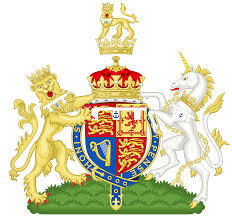 Britain continued to press other nations to end their trade with a series of treaties: the 1810 Anglo-Portuguese treaty whereby Portugal agreed to restrict its trade into its colonies; the 1813 Anglo-Swedish treaty whereby Sweden outlawed its slave trade; the 1814 Treaty of Paris 1814 whereby France agreed with Britain that the slave trade was “repugnant to the principles of natural justice” and agreed to abolish the slave trade in five years; the 1814 Anglo-Dutch treaty whereby the Netherlands outlawed its slave trade and the 1817 Anglo-Spanish treaty that Spain agreed to suppress its trade by 1820. The Act created fines for captains who continued with the trade. These fines could be up to £100 per enslaved person found on a ship. Captains would sometimes dump captives overboard when they saw Navy ships coming in order to avoid these fines. The Royal Navy, which then controlled the world’s seas, established the West Africa Squadron in 1808 to patrol the coast of West Africa, and between 1808 and 1860 they seized approximately 1,600 slave ships and freed 150,000 Africans who were aboard. The Royal Navy declared that ships transporting slaves were the same as pirates. Action was also taken against African leaders who refused to agree to British treaties to outlaw the trade, for example against “the usurping King of Lagos“, who was deposed in 1851. Anti-slavery treaties were signed with over 50 African rulers. During the Revolution across the Atlantic in United States, all of the new states banned or suspended the international slave trade. Most slaves arrived on English ships, and even those on American ships were purchased from agents of the Royal African Company stationed on the west coast of Africa. Thus, all the colonies (which soon became the states) banned the African slave trade as part of their overall policy of refusing to import anything from Britain. The “non-important” movement was an attempt to cut all economic ties with Britain. Since most slaves were brought in by British ships, and virtually all were purchased from the British on the coast of Africa, a ban on the trade was an important part of the colonists’ general policy not to trade with Britain. In some of the northern colonies, abolition of the slave trade had a moral as well as an economic basis. Opposition to slavery was growing, and during or immediately after the Revolution, five states would either end it outright (Massachusetts and New Hampshire) or pass gradual abolition acts (Pennsylvania, Rhode Island, and Connecticut) that would lead to a relatively speedy end to slavery. In those states, a ban on the international slave trade was consistent with growing opposition to slavery itself. In the remaining new states, where slavery was central to the economy, opposition to the trade was economic and political, but not essentially moral. After the Revolution, South Carolina reopened its international trade, but then suspended it in 1785 because of the ongoing depression in the state. Similarly, North Carolina levied a prohibitive tax on newly imported slaves and then in 1794 banned the trade altogether. The trade remained open in Georgia in 1787, but in the wake of the Haitian Revolution, that state also banned it. The Revolution brought freedom to slaves who joined the armies or escaped in the chaos of war. Thousands left South Carolina and Georgia when the British Army evacuated those states. Some of these people remained free, while others ended up being re-enslaved in the British Caribbean. At the end of the war, leaders in the Deep South fully expected to reopen the trade at some point, to replenish their slave holdings. However, in 1787, when the Constitutional Convention met in Philadelphia, no American state except Georgia had yet reopened the African trade. Nevertheless, with the expectation of reopening the international slave trade, the delegates from the Deep South jealously guarded their right to import more slaves. They succeeded with the provision in Article 1, Section 9 of the Constitution, which prevented Congress from ending the trade before 1808. The African Continent, which was the major victim of the horrendous Slave Trade, is today the victim of perpetual plunder by the same Western powers whose cargo loads of slaves provided cheap labour to their plantations in the United States and Latin America. 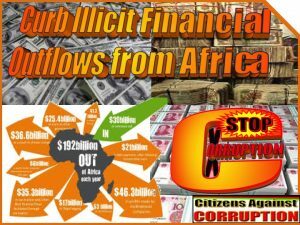 Their transnational firms continue to under-price exports from Africa and their banks and real estates have open doors to receive cash stolen by corrupt African leaders and public servants depleting the poverty-ridden Continent of vital financial resources. May 12 London Anti-Corruption Summit attendees included US Secretary of State John Kerry, Nigerian President Muhammadu Buhari, Afghan President Ashraf Ghani, and Christine Lagarde, managing director of the International Monetary Fund, Kenya’s Attorney General Githu Muigai. Cameron has committed the UK to a public register of beneficial ownership, saying that secret offshore owners of British property will be made public. Five other countries announced that they have also agreed to similar measures in their own territories: Afghanistan, Kenya, France, the Netherlands, and Nigeria. The British prime minister also announced the creation of a global forum to step up international efforts to recover stolen assets being held overseas. The first meeting of the forum will be held in the US next year and will focus on returning assets to Nigeria, Ukraine, Sri Lanka, and Tunisia. However, anti-corruption campaigners say this move doesn’t go far enough, and that Cameron needs to make sure that British overseas territories themselves become more accountable by also agreeing to provide a public register. 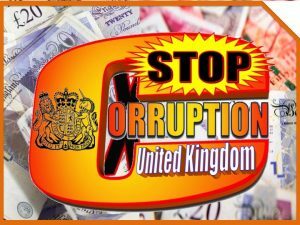 In his opening remarks at Thursday’s summit, Cameron said, “I believe that corruption is the cancer at the heart of so many problems we want to tackle in our world,” something which costs countries around the world an estimated $1.26 trillion. He noted that people around the world are angry because “the system is rigged,” and said it was necessary to shut the doors to corruption and prove to people that they can trust in the system. “We have to say no safe harbor anywhere. We have to get the global community to come together and say no impunity to corruption,” Kerry said, while noting that when some countries tighten their laws others see that as an opportunity. British Prime Minister David Cameron and Nigerian President Muhammadu Buhari at the opening of the anti-corruption summit in Lancaster House, London. “The global community must come up with mechanisms for stopping safe havens,” the Nigerian president said, calling for a strategy to aid the monitoring and tracing of stolen assets or funds hidden in secret accounts abroad. The long-awaited summit comes just over a month after the leak of the Panama Papers, which named Cameron’s father as someone who had an offshore trust. Cameron himself later admitted to profiting from it. In more bad timing for Cameron, on Thursday the UK’s Electoral Commission also announced it would be taking his Conservative Party to court to force disclosure of documents about spending in the run-up to last year’s British general election. A total of 11 prime ministers and presidents attended the summit, and held a private breakfast before the sessions began. 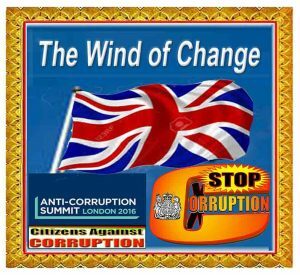 Despite Cameron said on Tuesday that “because it’s an anti-corruption summit everything has to be open… There are no closed-door sessions. It’s all in front of the press.” However, many accredited journalists weren’t allowed into the event and instead had to watch the sessions on screens in a designated media area outside Lancaster House. The British High Commission in Nairobi has twice denied Kenya Confidential visas to attend Illicit Financial Transfers short investigations courses at London University on the guise that the veteran anti-corruption forensic investigative editor would not return to Kenya. It is not lost to Kenyans born during the British colonial Kenya, how sly, hypocritical and racist the British are – especially the English. Indeed, the English are fighting tooth and nail to pull so-called United Kingdom out of the European Community in a desperate desire to maintain the politically obsolete “English Kingdom” reigning over the Scotland, Whales and Northern Ireland – literally clinging to the little of what is left of “Great Britain” Empire. However, he said the “elephant in the room” is “that we can’t get the UK overseas tax havens to do the same… Why not now? What’s stopping them?” – a clear illustration of the British hypocrisy. Meanwhile Russian anti-Putin activist Vladimir Ashkurov said that when he’s reported cases of corruption by Russians in the UK “our words have been falling on deaf ears.” – another demonstration of British hypocrisy. 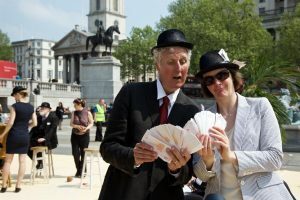 Alan Howarth, a Labour party politician, member of the UK’s House of Lords and one of the passengers on the journey, said he thought there were problems getting representation from countries that do act as tax havens. “What we actually need is less public grandstanding and more action, particularly with legislation,” he said. “I think it’s a huge disappointment the British government has not made our overseas territories produce transparency and if that doesn’t happen then we look hypocritical,” William Wallace, a politician with the Liberal Democrats, said – true to the meaning of British hypocrisy. Rooker added: “I can imagine there are enormous pressures on the prime minister not to go the full way.” – certainly not surprising by British hypocrisy.